Microsoft has pushed an update for the Xbox app on Android and iOS, which finally allows users to engage in party chats on Xbox Live via their smartphone or tablet. Aside from voice and text chatting on the Xbox 360 and Xbox One consoles, users will now be able to use party chat on mobile devices as well. The feature was already present in the Windows 10 version of the Xbox app and now works on Android and iOS too. Mobile party chat was a highly requested feature and was being tested in a beta build of the application this past December. After two months of beta testing, party chat is now a standard feature in the app. The feature is available for all Xbox Live users and features full support for voice, text and group chats on the go. 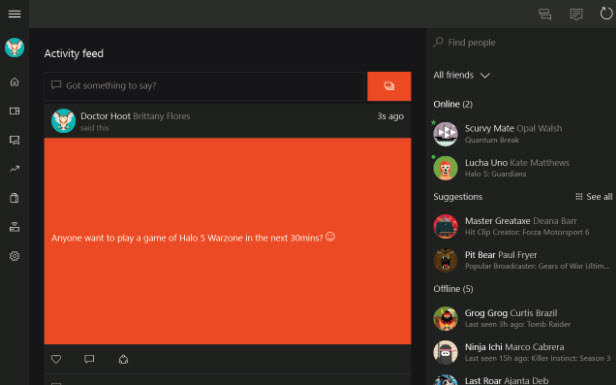 Party chat is now integrated into the official Xbox application under the 'parties' section, where users and players will be able to start or join a party. It's quite similar to the mobile app for Discord which offers free text and voice chat as well, but the mobile Xbox app uses your friends on Xbox Live instead. The mobile party chat can also replace the need for a headset on the Xbox console itself. Voice chatting in the app will integrate with your device's phone call option, which means you can still listen to background music while talking to your friends on Xbox Live. The update for the Xbox app is now live on Google Play and the App Store.